is a GUI for some of my custom software filters. You can select a image, and set the index to any frame in the animation. This gives a greater degree of control over what frame you want. Now contains Red/Green/Blue sliders for further precision. 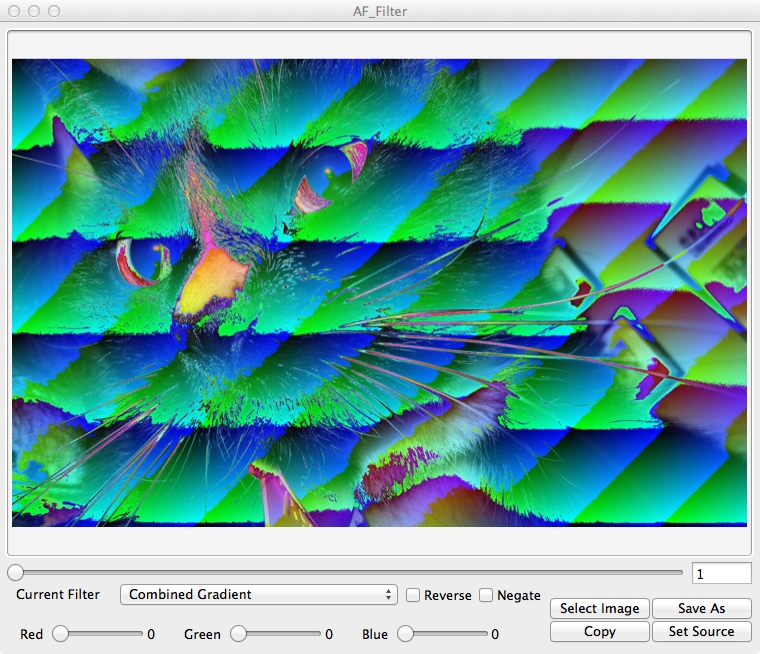 A Set current filtered image as source option so you can chain together filters. Also copy to pasteboard so you can easily transfer the image between applications.